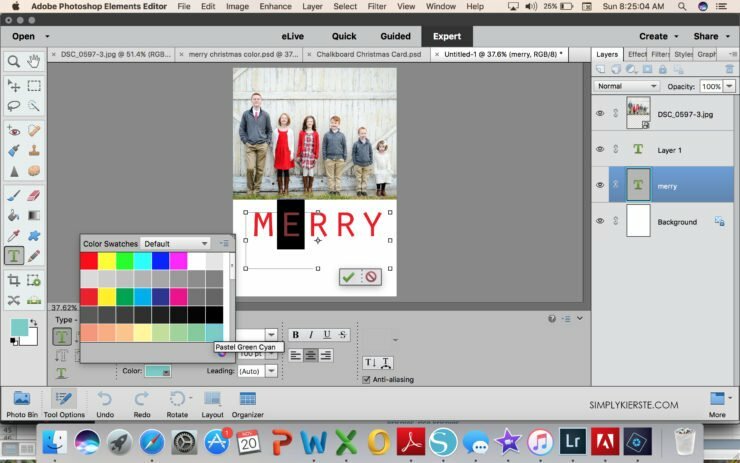 Make your own Christmas card in 10 Minutes! This post is sponsored by Adobe Photoshop Elements. All opinions are 100% mine. 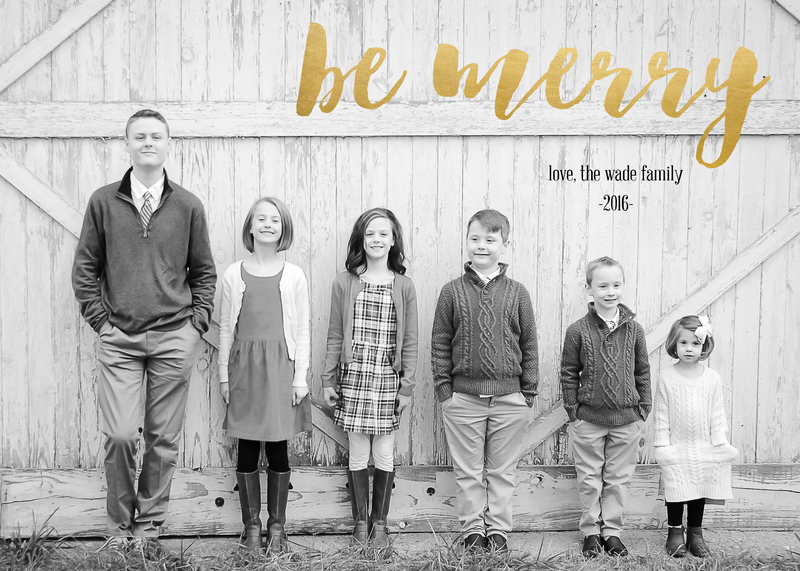 Sending and receiving Christmas cards is one of my favorite parts of the holiday season! 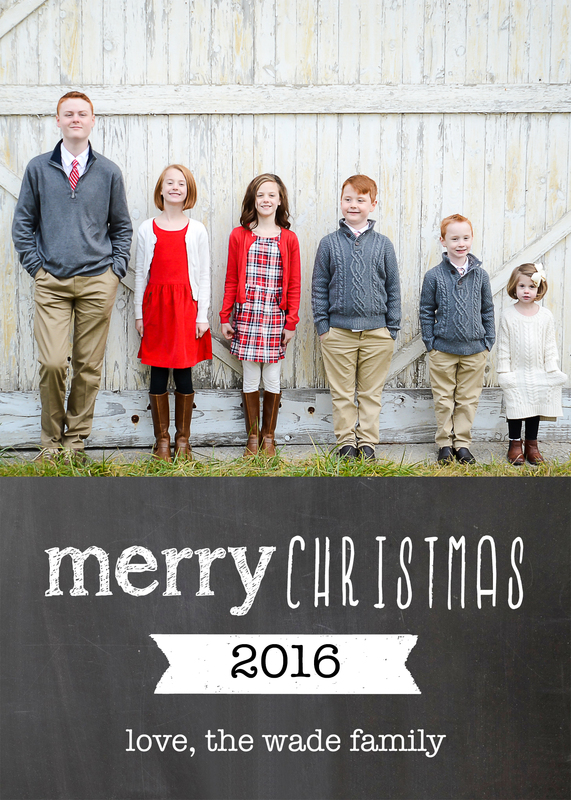 I have made Christmas cards for years, and many of them I’ve shared here as free templates. 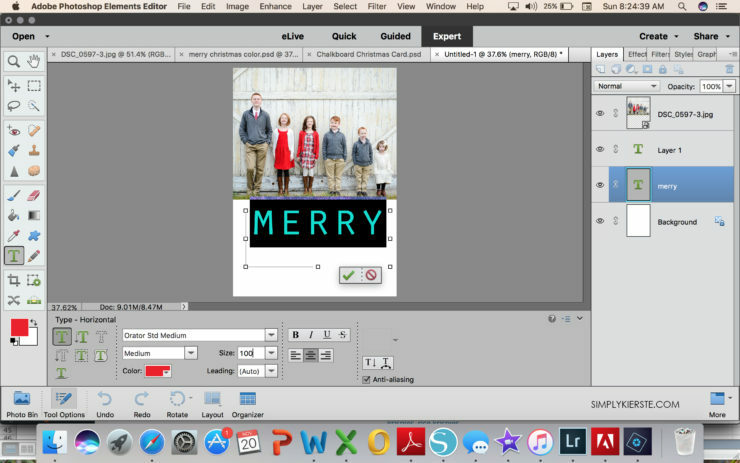 But today I’m going to show you just how easy it is to make your own Christmas card, in ten minutes or less! 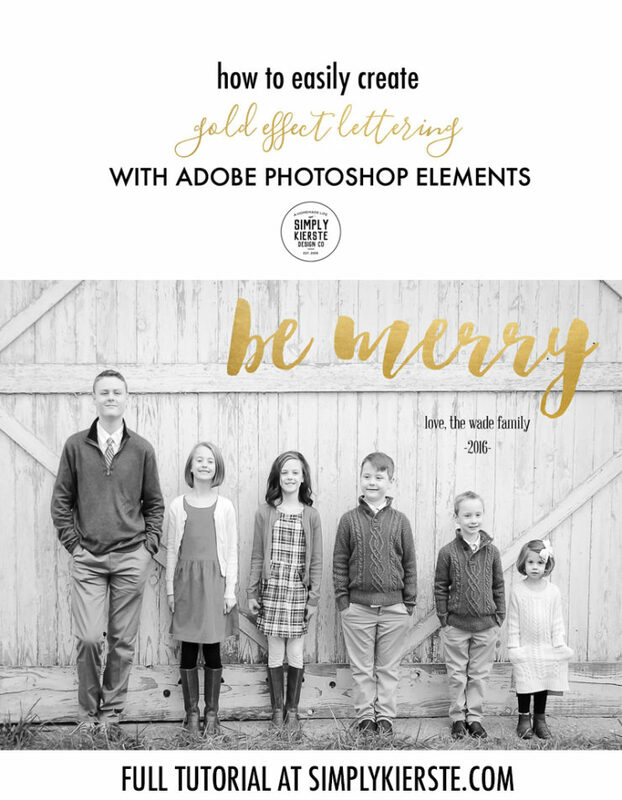 I use Adobe Photoshop Elements, and I’m excited to show you how quickly you can put together an adorable Christmas card! I’m not going to show you just one card, but three different designs. Once you know these basic steps, you’ll be able to create any kind of card that you want to. If you’ve always wanted to make your own card, but weren’t sure where to start, or even wondered if you could, I’m here to help! 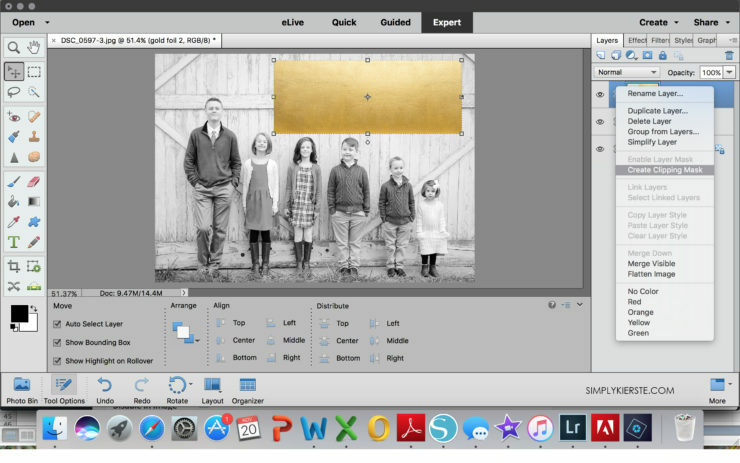 If you want to give it a try without any risk, Adobe is offering a free 30-day trial of Photoshop Elements 15. Edit your photo. Adobe Photoshop Elements 15 makes it very quick and easy to get your photo in tip-top shape, and you can read more about the details including handy editing tips in my DIY Photo Mug post. Start with a new file: File > New > Blank File. Input the size you would like your card to be, resolution of 300, and a white background. Click File > Place, then browse for the edited photo you’d like on your card. Click on the photo and move it where you would like it on the card. I also clicked on the corners of my photo and dragged it out a little bit, so that the photo took up more of the entire card. 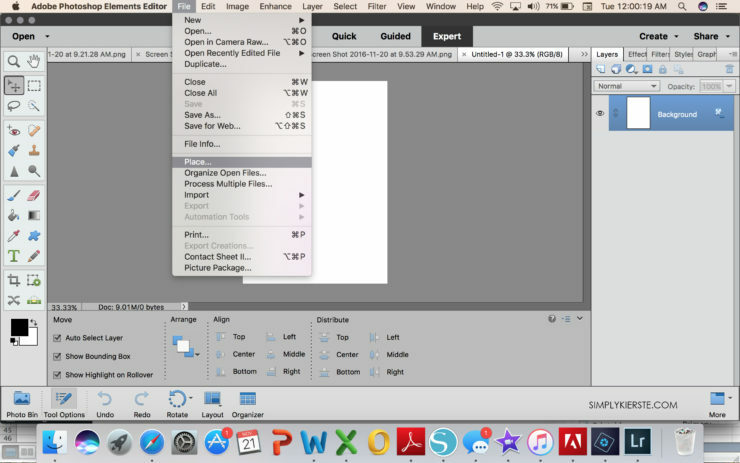 That is an optional step, and it will depend on the layout of your photo if you need to do that. Click on the “T” Text icon in the left sidebar, then select the color, font and font size. Click on the card and drag out the text box, then start typing your text! You may need to make changes in the font size so it fits the way you want it to, and I usually change the font a couple of times too, to get it just the way I like it. If you want the individual letters of a word to be different colors, then highlight each letter one-by-one and change the color. Repeat the text step for each word and phrase you would like to include. I like to do each word as a separate text box, because it’s easier to move them around and position them where I want them to be, and some fonts automatically put a huge space in between the words if you type them together. Don’t you love that cute banner? It’s actually a font! (I’ve listed all the fonts I used in the details below.) 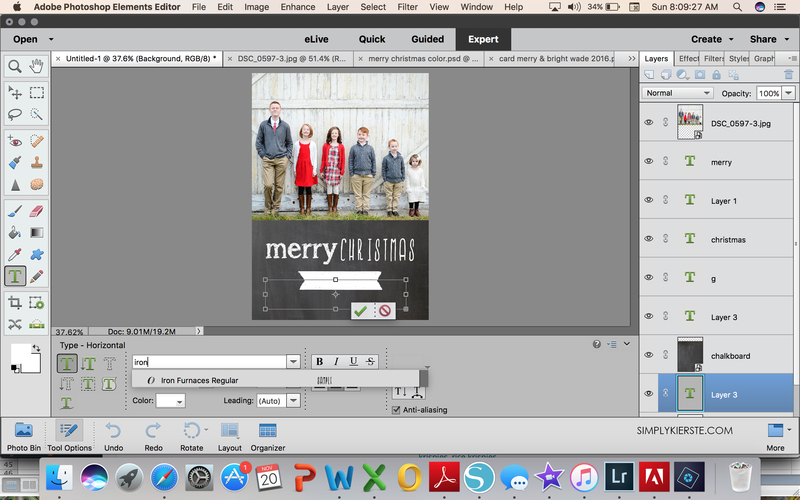 Once you’ve added all your text, you’re finished, and you’ve got yourself an adorable Christmas card in no time flat! Save your file as a PSD file first (this saves the layers so you can make changes later without starting over), then as a JPG or PNG file for printing. You are going to start exactly the same way as card #1, and there is actually only one additional step. Open up a new File, type in the card dimensions, then make sure it’s at a resolution of 300. You can choose either a white or transparent background–either one will work for this card. 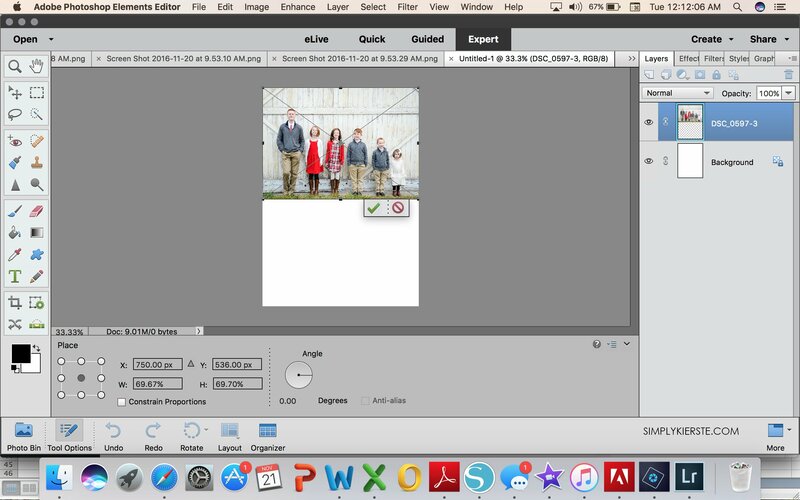 File > Place, and browse for your photo. 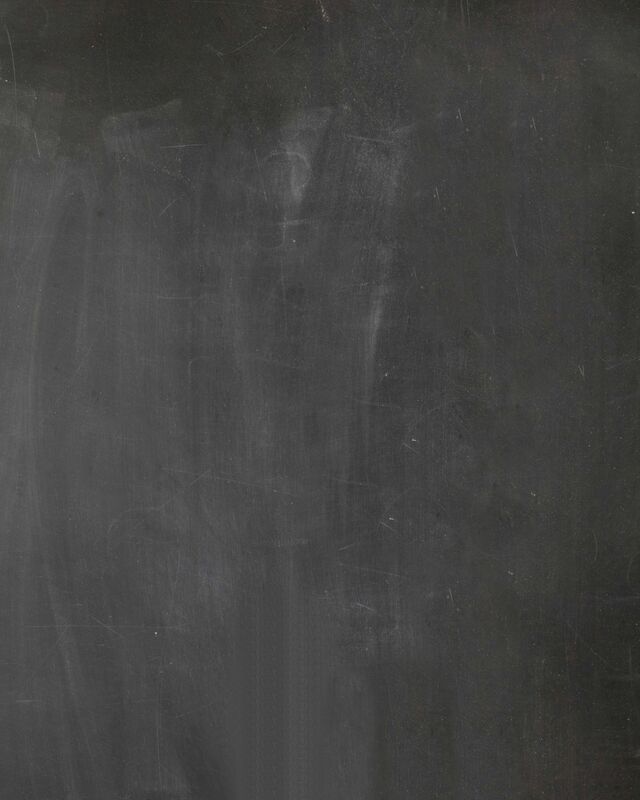 You are going to do the same thing again….File > Place, but this time you’ll browse for the chalkboard background you’ve already downloaded. (You can use one of your own, or you can download the one I’ve shared at the bottom of the post.) You may need to adjust the size of it to fit your space– click on one of the corners and drag it in or out to make it bigger or smaller. Adding your text is next, which is most often done in white on a chalkboard background, but you can certainly add touches of color if you want to. Click on the “T” text icon on the left, and then select your font, font size, and color. Repeat for each word or phrase. 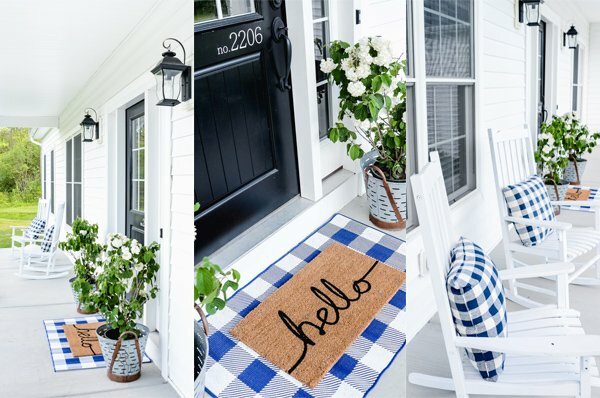 I love the chalkboard look–it’s one of my favorites! Remember to save it as a PSD (Photoshop) file first so you can make edits, then as a JPG or PNG for printing. Gold foil lettering is totally trending right now, and it’s such a great look, especially on a Christmas card. You won’t believe how simple it is to change regular text into fancy metallic gold lettering! This time we’re going to write the text directly on top of the photo. Start by opening a new file: File > New > Blank File, and type in the size you’d like your card to be, a resolution of 300, and a transparent background. Add your photo: File > Place, and browse for the image you want to use. 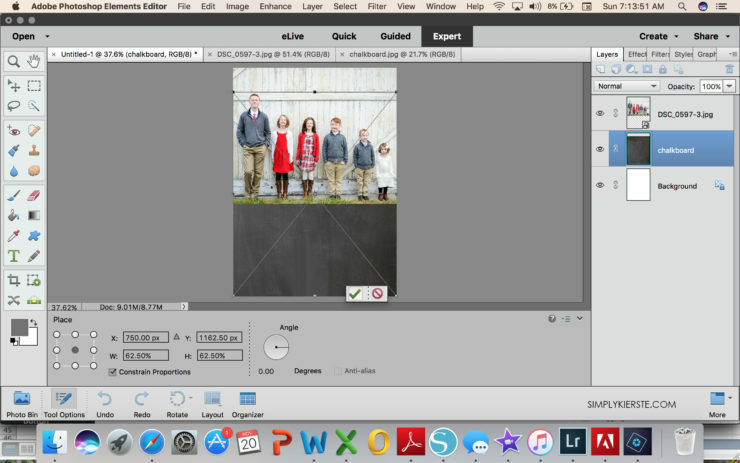 If it doesn’t fill the whole background, click on one of the corners and drag it out to make it bigger. It’s important to use the highest resolution photo you can–otherwise your photo could be a little fuzzy when enlarge it. I used the same photo, but wanted to change it to black and white. It’s SO easy to do! 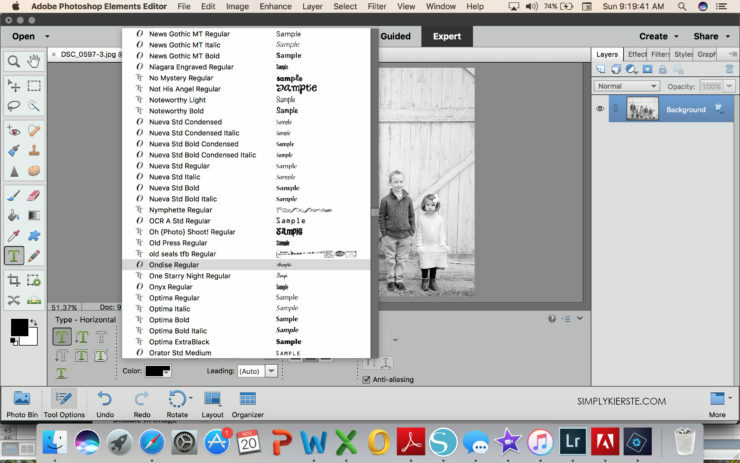 Click on Enhance > Convert to Black and White. It will bring up a screen that shows you both the color and B&W versions side by side, and a place for you to agree to the change. That’s it! Add the text that you want to change into gold lettering by clicking on the “T” text icon in the left sidebar. Select your desired font, font color (which doesn’t matter in this case–I use black), and size. Drag it on top of your text. If the text is showing on top of the gold foil after you’ve moved it, just go over to the right sidebar, click on the gold foil layer, and drag it so that it’s above the text. You can see what that looks like in the image below–the text layer should be directly below the gold foil layer. 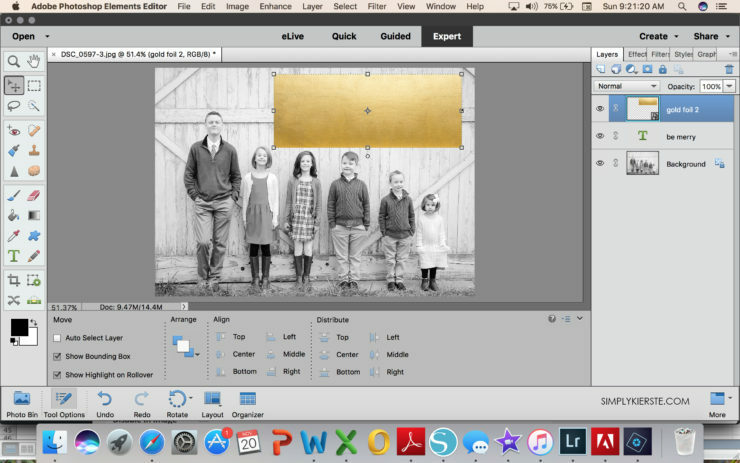 Right click on the gold foil layer, then select Create Clipping Mask. And voila! You’ve got gold lettering! You can use the exact same process with any digital paper you want to, and it opens up even more possibilities. 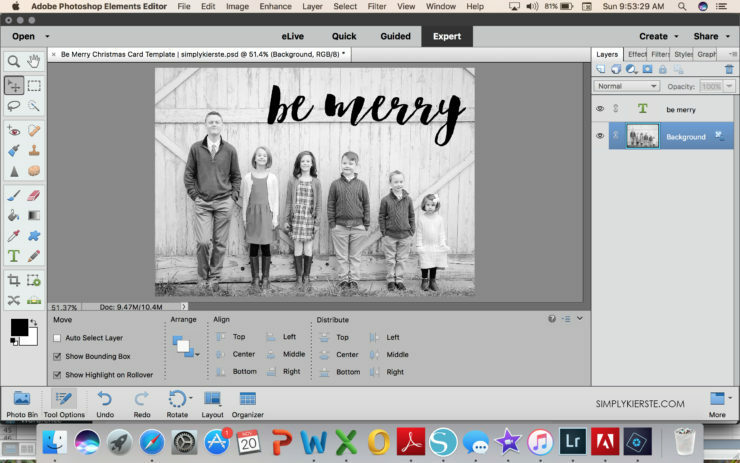 Add any remaining desired text, then save–first as a PSD (Photoshop file), then as a JPG or PNG file for printing. 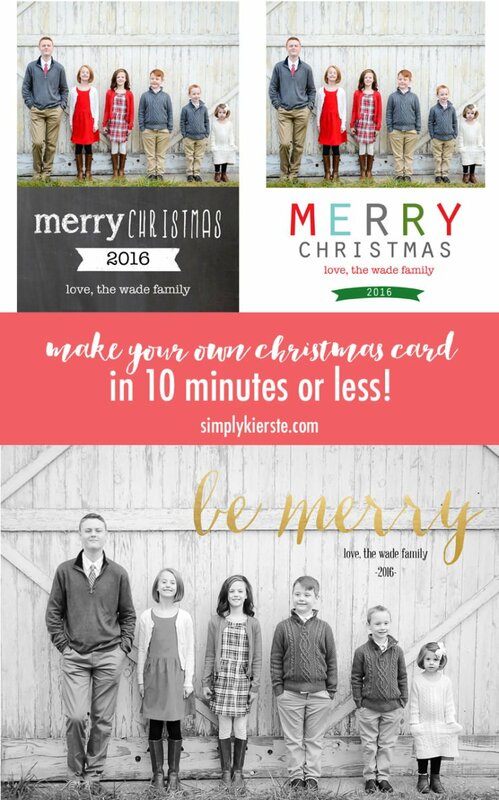 What I love best about each of these cards is that they are completely customizable. 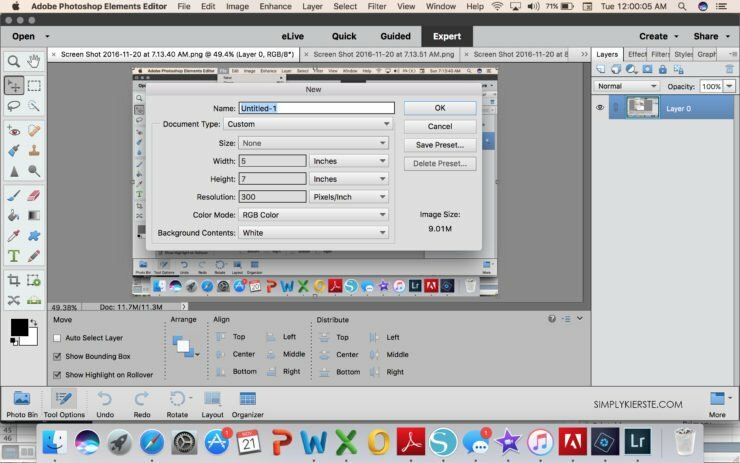 You get to design it exactly the way you want it to be–text, colors, picture, etc. 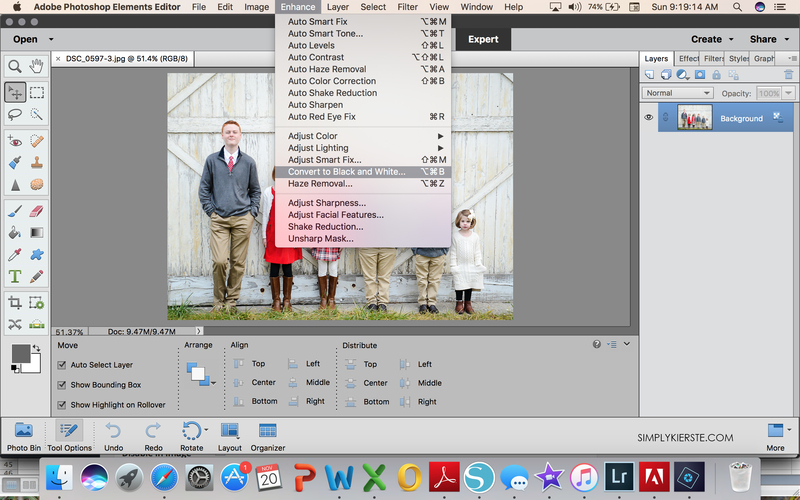 And the fact that Adobe Photoshop Elements makes it so fast, easy, and accessible is the icing on the cake! LOL! My two boys with the gray sweaters are twins! They are obviously fraternal. :) One of them is just very tall for his age–average size of an 11-12 year old at his last well check–and the other is actually the tallest in his class too, believe it or not. 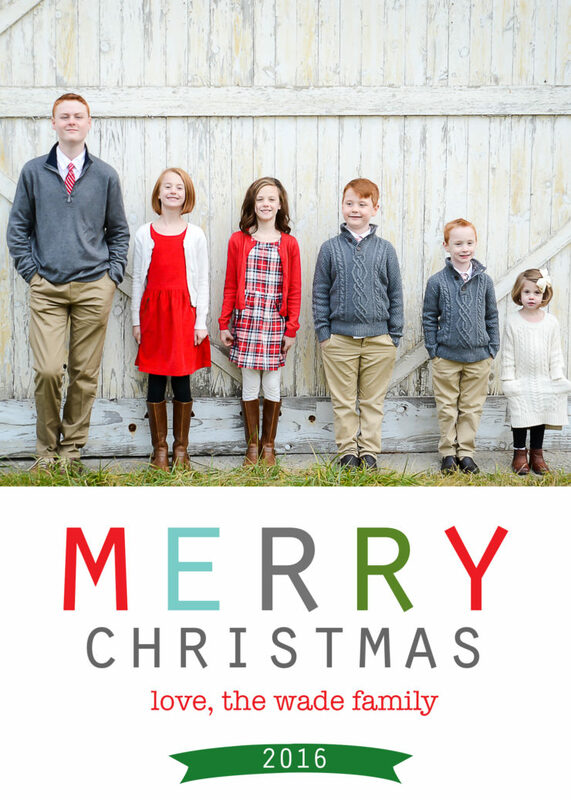 We get asked this all the time–usually people think he and my red-headed daughter are twins, or that the three of them are triplets. Hi, Talita! I’m so sorry you’re having trouble with it! I’ve used older versions of PSE this same way, so you should definitely be able to do it with PSE 14. What exactly wasn’t working for you? I’d be happy to try and help! And the fonts are the ones on my computer–PSE will pull up any fonts you have on your computer. If you’re interested in the ones I used, let me know, and I can get you the links so you can download them.